In addition to his leadership in USAPL, Dr. Larry Maile has an accomplished career as a clinical and forensic psychologist. As an athlete, Dr. Maile is a member of the International Powerlifting Federation Hall of Fame, the North American Powerlifting Hall of Fame, and the USAPL Women’s Hall of Fame. He also received the Brother Bennett Award in 2001. Dr. Maile is also a USAPL Senior International Coach and has led the Pan American Championships Team twice, the Women’s National Team thirteen times, and served as Head Coach of the Alaska Iron Maidens, who claimed the National Championship title eight times. Please see below for a full bio. 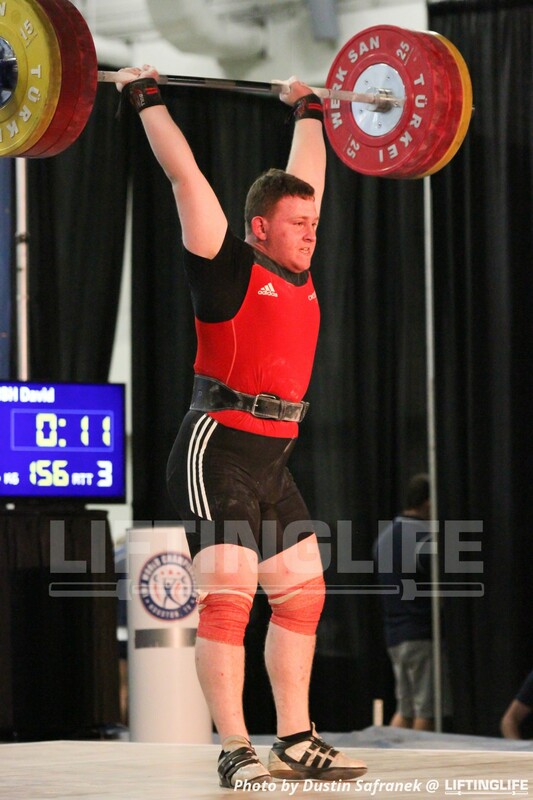 To begin, could you speak a bit about how you came to powerlifting and how long you’ve been a part of the sport? I came to powerlifting the middle of the 1970s. I went to college and they stuck me in the dorm with all the football players. Basically, they went off to the gym every day so I went off to the gym every day. I guess the rest is history. I started lifting in 1976 and I’m still going. This is my 41st year. I also read that in 2009, you were inducted into the USAPL Women’s Hall of Fame. Can you speak about your experience coaching and supporting women in powerlifting? Sure! First thing I’d say is that it’s easier to work with women—generally speaking. There’s less ego involved. In my experiences coaching men, they tend to think they’re either competing with me or with each other. Women are often more supportive of each other and don’t see themselves as always in competition with one another. I started training women in 1980. I’ve been the coach of the Women’s National Team for thirteen consecutive years, ending in about 2007 or 2008. During that time, we won one Open Worlds and medaled most of the rest of the time. I also coach women here in Alaska. Our team, the Alaska Iron Maidens won 8 national titles over a 10 year period – that got started in 2000 and our last year out at nationals was about 2010. I still coach some women and I’m writing cycles for my lifters for nationals this year. I have about seven lifters training for nationals. They probably won’t compete as a team; some of them are on other teams nationally, and some will compete as individuals. Every one of the women whom I’m training for nationals has already won nationals at an earlier point in her career. Other than the “big three” lifts, what are some of your favorite movements to incorporate in an (intermediate) lifter’s programming? That being said, we evolved to a system that looks much more like bodybuilding than like powerlifting. We tend to do more repetitions than most people. We tend to do more accessory work than most people and less of the big three lifts than most people. An average workout is usually about 15 sets + warm-ups, but that’s usually comprised of 5 different exercises. For example, we’ll start with bench presses, but after that we’ll do things like close-grip benches, flyes, machines presses. Some people do dips, incline benches, or not depending on what needs development. Everything is somewhat individualized around a common structure. We do around 8 reps in the off season and 8’s tapering into 3’s when preparing for a meet. We don’t use a linear system, though—it follows a wave pattern, and even then, not a linear wave pattern. It’s more a steepening curve. To go back to your training in psychology—could you speak a bit more about how that has influenced your perspective as a lifter and coach? Well, my specialty in my master’s program was in behaviorally-oriented systems. We worked on single-subject designs, small group experimentation, etc., which led very directly to how I approach powerlifting. My observation/experimentation has been around how to develop confidence that you can perform the lift without getting so rattled that you can’t execute it. If you look at the competitors I train, they tend to look fairly calm, not nervous. If you were to watch them at a competition, you wouldn’t see much in the way of showboating or psyching up—it’s really all internal. In meets, they very frequently lift more than they ever did in training – that takes a particular mindset. It takes a belief you can do it and confidence in the fundamentals of what you’re doing. What would you say you do in coaching to cultivate that particular mindset? Not to make it about me in particular, but about coaches in general: The athletes that you work with have to trust what you’re doing. If I tell a lifter that we’re going to try 230 and they’ve never hit 220 in training, they have to believe that they have a shot. That comes from working with people over time, giving them weights that they can do, and building their confidence—not only in me as a coach, but in their own ability. They must be confident that they can consistently handle these fairly heavy weights and to do so without failure. We never train to failure (unless by accident). So these athletes come out of a training cycle with a strong belief that they will make their attempts. The other thing we focus on—and we do it extensively—is technical perfection. It’s one thing to be very strong, but you must have your lifts verified by the judges. We focus on technique every single workout and every single rep. As a coach I usually make very small technical corrections. Lifters can only change a limited number of things at a time, so if you bombard them with too much information, they can’t assimilate it. We always work on technique a little bit at a time. Moving to your role as President of USAPL, what would you say is the biggest challenge facing the organization right now? The biggest challenges right now probably involve our recent growth. We started basically as a volunteer organization—a gathering of likeminded individuals who worked on their own time out of their own homes. We have grown significantly since then, and we have become legitimate contenders in the international arena. With greater success comes more work and more sophistication. We compete in a drug-tested arena, which means we must monitor all 15,000 lifters and ensure that drug-testing occurs to our standards. In the last three years, we have also doubled the number of meets that we have, and we have to make sure that they proceed in an orderly an consistent manner. We have to ensure that meets all across the country look and run very similarly. What are your goals right now—personal or professional? Well, I’m going to retire as a psychologist this year. I’d like to spend more time lifting on my part and competing more. In terms of coaching, I’m not sure. I will probably play a greater coaching role somehow, but I don’t yet know what that would mean. I’ve coached 49 international meets now. I’ll do more and probably with more athletes, but I don’t know if I’ll ever be a head coach again. I might put together a women’s team to compete nationally again. What advice do you have for young coaches? The biggest impediment to the success of a coach is lack of patience—and ego. Coaching requires a considerable amount of patience and respect for the limitations of an athlete at any given time. Moving more quickly than your lifters—pushing them before they are ready – often results in injury or loss of confidence. The flipside, though, is that successful coaches also have to have an eye for experimentation. Keep notes. Watch videos. See what works and what doesn’t work within your own coaching system. There are a lot of solid training systems out there. It wouldn’t be unreasonable to just pick one and start working with it. You can’t change all the things all the time, though. You need to stick with something long enough to know whether or not it works. In our own coaching course, we give three examples within our curriculum, but there are quite a few approaches that could serve as strong foundations from which to build. 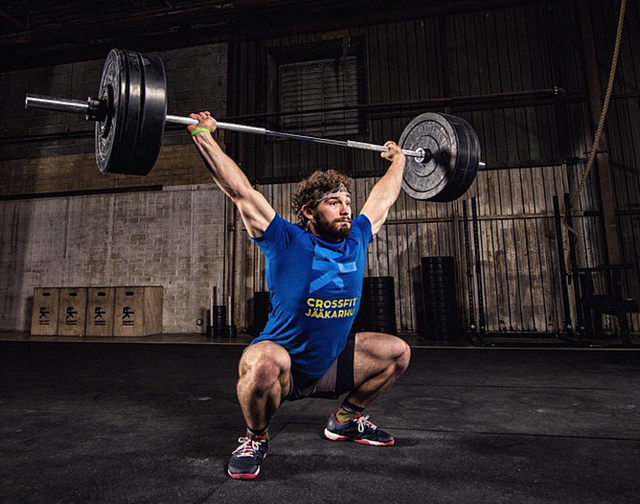 One of the things about drug-free lifters is that many of our best lifters are masters athletes. They’ve been out here for a decade or more – or decades. There really doesn’t seem to be a limitation in terms of how long you can be competitive and that really takes the pressure off of having to do it this year or next year. Professional Background: Clinical and Forensic Psychologist. I am retired from the State of Alaska as the State’s Chief Forensic Examiner. As such, I have appeared in more than 1500 criminal and civil cases. I am currently in private practice, focusing on treating adolescents and doing an occasional criminal case. I served in the Air Force during Operation Desert Shield and Desert Storm, 1990 to 1994 Individual Ready Reserve Officer until 2005. Competitor: I am still active, although professional and USA Powerlifting obligations limit my time to compete. President, USA Powerlifting, 2003 to Present. 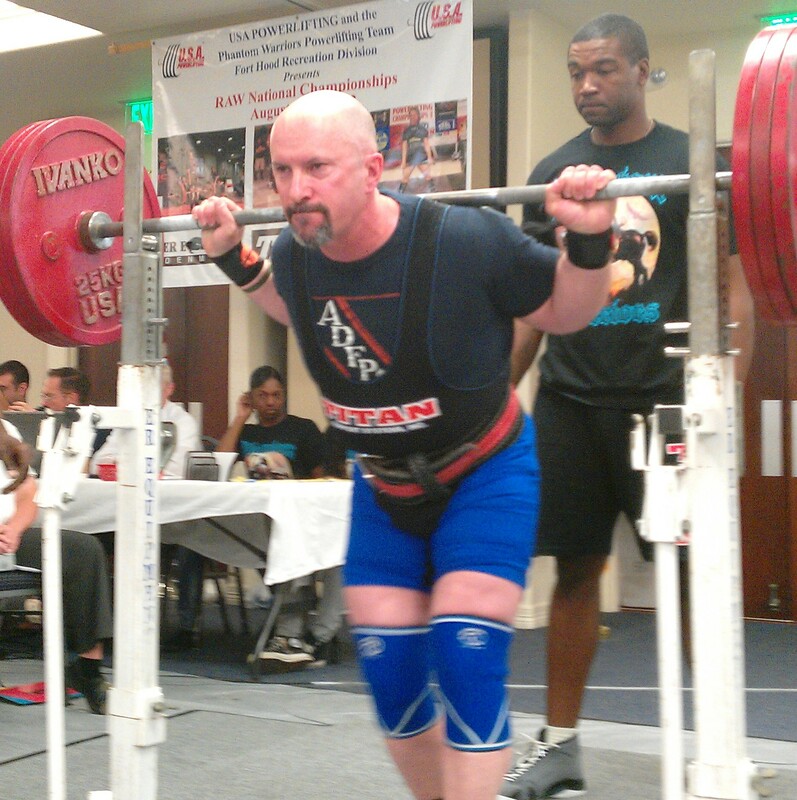 Vice-President, USA Powerlifting, 2000 to 2003. Executive Board, International Powerlifting Federation, 1999 to 2012. Member, USA Powerlifting Drug Testing Committee, 1985 to 1994. Chair, USA Powerlifting Coaching Committee, 2000 to 2008. Member, USA Powerlifting Therapeutic Use Exemption Committee, 2000 to present. Member, IPF Medical Committee, 2010 to Present. Consulting Psychologist, IPF Entourage Committee, 2013 to Present. Referee Status: IPF Category I Referee. Co-Director, USA Powerlifting events at the Arnold Sports Festival, 2007 to Present. Alaska State Championships, 1985-87, 1995-2002. Other comments: I joined the ADFPA (now USA Powerlifting) in 1983/84. I was recruited by Brother Bennett as the first Alaska State Chair. I attended my first ADFPA Nationals in 1985. I credit Brother Bennett with guiding me to embrace the values of fair play, drug-free competition, and good sportsmanship. Powerlifting has provided me the opportunity to travel the world, meet and work with some of the most distinguished and accomplished athletes and officials in any sport. I hope that USA Powerlifting continues to grow and to bring great organization, accessible competition, and the recognition that our athletes and volunteers deserve.